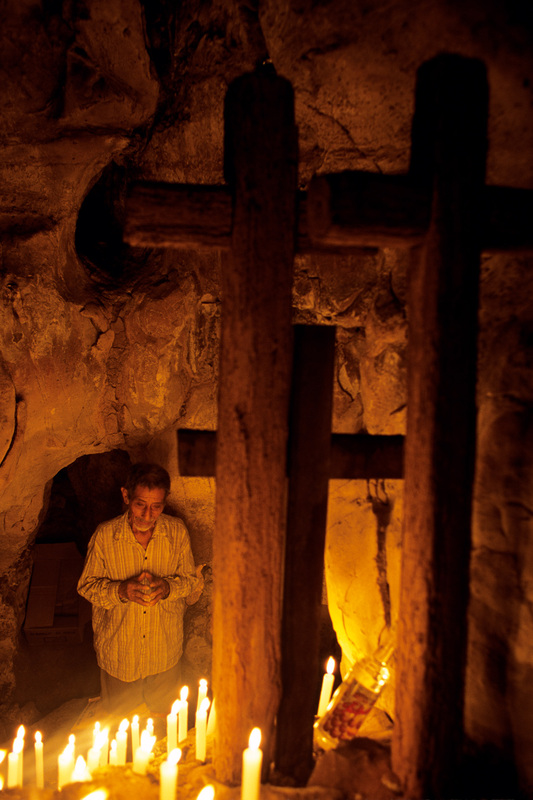 Don Phillipe, the Tatuch of Joloniel says prayers before 3 crosses in a small cave chamber above town. As part of a day of the cross ceremony he prays to Saint Don Juan in this cave asking for rain and bounty for the community. According to Alphonso Morrales the crosses in the cave have nothing to do with the cross of Christ.